Overkill’s cousin, and former captain of Overkill’s former ship, the Red Beard. Currently married to the former high priestess of Osiris, Christine Vega. He is now the Duke of Sinza. Minischmee is a member of the Red Beard Dwarf Clan; a smaller (more like a tribe) in the north of Bizantium and perhaps the most manipulative and best looking. A cousin of Overkill and fellow pirate of the Red Beard ship (sponsored by Malemore family), Minischmee is a college drop out (actually he was kicked out) who sought his fame and fortune by becoming a pirate of the Red Beard back when it was the Skull Sinker. At the time that he joined he had completed half of his sailing courses and needed something to fill in the rest. Enter piracy. Under Captain Fire Hyde, a human, he learned the ways of the pirate and who was the sponsor of the ship. After Overkill graduated from the Bizantium Navy Academy, Minischmee encouraged his cousin to join the crew of the Skull Sinker. He knew of Overkill’s hatred of humans and piracy gave the perfect chance to get back at these beings. The two were inseparable. For months the Skull Sinker pillaged the villages and ships of the young nation and when Bizantium Navy finally had gotten word as to where the Skull Sinker was the chase ensued. The captain realized that the ship was not as fast as the empires navy and decided that a ruse would have to be done to throw them off the scent. This ship had been involved in trading with Wolfen and barbarians so the original look of Bizantium origin was gone. It was Minischmee that recommended Overkill to the captain to be the new captain, a surprise that his beloved cousin will never repay. Titles moved around and Minischmee found himself the first mate and commander of the new dubbed Red Beard. Captain Fire Hyde retired shortly after that with a condition that the new ship would assist with his retirement (10% of the booty). When Overkill was called by Osiris to go on a quest to change the tides of time and history, Minischmee had gotten comfortable being second and thought that this day would never come. It wasn’t supposed to. 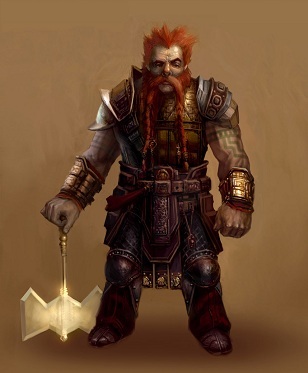 Minischmee had three wives and a great crew that would have killed for their captain Overkill, half of them were Dwarves, Bizantium hated them and the success with the contacts and real friends kept the Red Beard from ever being discovered. They would be like Jason of old, legends in their own time but that was not meant to be; Overkill left. After Overkill left, the letters of his success and failure started coming in. Minischmee continued to do work for the Malemore family but it was not as fun as it was. The robbing and pillaging had lost its savor and the attention to detail had begun to slack. Bizantium found an opportunity to catch them after leaving Me’zfii Onh and they took it. Capture was swift and painless. Only two of his fellow mates lost their lives. His wives were safe in Wolfen country when the incident happened so he didn’t need to worry about them. They could hold their own. Bizantium heard that Mez’fii Onh was a favorite hang out of Overkill and they were detained to catch him for what he had done. Minischmee spent the next few days in prison waiting for trial and it was while he was in prison that he concocted a plan; declare Overkill dead. He was doing the gods work now and he was in their hands. It was on that day of his plan that he said a little prayer to Belimar, the god of Dwarves to watch over his cousin and forgive him for the lie that he was about to tell. Bizantium justice was nothing of the sort. Although they could not prove any of Minischmee’s story or the possible death of Overkill, decided that although he was caught on the ship proof of his crimes were nonexistent and that he was to be banished to Sinza never to sail again. He was told that some of the crew was going to be hanged and that the others were going to spend the rest of their days in prison. His case was unique. Malemore family had given the young Dwarf and several of the senior crew a brood of lawyers and made the ship records disappear. There was no proof except witnesses in far off parts of Bizantium and the Eastern Territories. It would have ended there except that Overkill was discovered. Magic pigeons were a flutter all over Bizantium and other parts of the world. One even went to him and told him to leave the country. A letter arrived explaining the court and experience. He now had the course to get the Red Beard Clan out of Sinza. ; a new adventure that he wants to take on. Perhaps the cousins will meet after all.